See Brian Jenner’s positive tale on Toastmasters and their rituals here. As you can see, my education is complete! My piece on Toastmasters has attracted some modest interest, including in the Comments and via LinkedIn. Both Against and For. I came, I saw, I jumped to conclusions. The whole piece sounded like a commercial, so it was difficult to take it seriously. We may know the right way to behave, but under stress we do what we are accustomed to doing. The strength of Toastmasters is in gradual replacement of bad habits with good ones. No quickie seminar can achieve that. 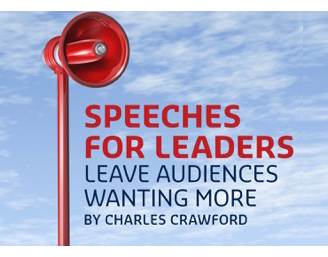 Toastmasters does indeed have its faults, however, as someone who has attended one meeting at one chapter, you, Charles Crawford, are in no position to know what those are. Even food critics eat at a restaurant three times, with guests, prior to writing a review. Did you at least look at their manuals? … What was most shocking to me though was that you position yourself as a “speechwriter of sorts”. Please, please find a good editor before you make that claim again. The irony was thick enough to cut with a knife. To attend only one meeting does not allow a visitor to appreciate the effort that speakers, evaluators, all meeting participants put forth in a club. The members’ commitment, progress and self-paced learning does not always get noticed by one unfamiliar with the process. It is not fluff but considerable work and fun. Perhaps you should join a club and actually participate. You might like It! I was shy and terrified to speak in public when I joined Toastmasters. With the warm mentoring and support I received there I went on to become a professional speaker. I have now spoken to thousands of people and it never would have happened without Toastmasters. It’s important to note that the OP is only qualified to critique the TM club he attended. Whilst it’s fair to say that this one club is indicative of the organisation it would be an injustice to tar every club with the same brush. I would not be interested in attending any training where the trainer or training organisation used the tactics in this thread to promote their business. Although not a member myself I know and have worked with clients who are and have gained value experience and knowledge as a result. It may not be for everyone, but I say don’t knock it until you’ve tried it. I have never done TM, but I must agree with Mr. Crawford with regard to content. I enjoyed Toastmasters the first year (different club) but there was too much process and not enough speaking. You are right on the money! My take is if it is good for you, it’s good for you. If they really want to learn, sign on with me and we will work together looking at all of the parts of speaking in public for a living. Toastmasters is the speaking equivalent of community theatre. While TM is fantastic for two things: community and practice, TM does not provide mastery or any real substantive transformation. Most definitely reflects my feelings on TM. Very good if you are timid or a nervous speaker and only for a few sessions, then I think you would lose the will to live. Applause! Two things stood out for me from my utterly unrepresentative sample that nonetheless seems to follow a strict schema used by TM across the world. First, there was no discussion at all with the audience(!) about what worked or what didn’t. Lots of rather pernickety pro forma ‘evaluating’, but nothing from those for whom the speech was intended. Second, the ‘evaluating’ skirted well away from the Content as such – the logic of the ideas in themselves, and their smart (or not) sequencing in the speech. Instead the focus was massively on the Delivery. The unhappy result was that the two main speeches of the evening that had involved a lot of work by the speakers went substantively unanalysed. In one case the speaker eloquently said next to nothing. Therefore what? In the other, the speaker just wasn’t very good at all but trudged home none the wiser as to what was needed to make a big jump in performance. Was that really a good use of an evening? Basically …if you don’t ‘evaluate’ Content, you can’t show speakers how to structure a speech/presentation well! That means having well organised and perhaps unexpected thoughts that are then delivered powerfully. If we look only at Delivery in public speaking, we get Death by PowerPoint – millions of people every week around the world ‘face a group and present their ideas’ but BADLY! What a miserable waste of time. So, question? How in fact to improve? It’s not that TM doesn’t improve you in many ways. It (probably) does if you attend for long enough! But can the same or even far better results be achieved far more easily? Let’s say you do 10 TM sessions over six months. That’s a lot of hours including the sessions themselves + travel etc. A good speaking teacher/coach can get you to a notably higher level in (say) six hours, or just one working day. After that you don’t need to ‘practise’ – you just do it! Not quite so social a way of learning, but massively faster. It does all come down to what you want. Cover the basics? Or get REALLY good? Which is better a priori? Being the person who gives a good solid ‘safe’ presentation that no-one remembers two minutes later? Or the person who stands out and gets pestered afterwards to the point of not getting any dinner? If the latter, is it wise to trundle through months of over-organised Toastmaster sessions to try to get there? Or instead find drastic short-cuts based on Confidence from Content? You did not bother to check how Toastmasters International does their evaluations, and your claim that they do not evaluate content is quite wrong. See my January 28th blog post at Joyful Public Speaking titled Toastmasters International misevaluated again. First and foremost, Toastmasters is a self-improvement program. They keep the investment for membership low enough that anyone can afford to face their fear and become more confident. I've seen members sit in the back of the room, watching and listening, for months, before they finally had the courage to stand and speak. With each moment in the front of the room, whether it's as simple as reading off a ballot count, courage rises. I've seen those same terrified individuals grow to become leaders in the club, in their professions and in their communities. I've seen entire lives transformed as a result of learning how to speak their truth. Toastmasters isn't a public speaking coaching program, there are plenty of those around. It is a transformational program that develops confident communication and leadership. Those who stick with the program and move into leadership are some of the most heart-centered, committed to excellence people I've had the pleasure to meet. Every club has its own unique vibe, routine, schedule, style, purpose and mission. To judge an entire system on one club experience is ludicrous. if you want to learn how to craft the perfect 20 minutes speech, hire a speech coach. If you want to change yourself, join a Toastmasters club that speaks to your heart and get involved. Thank you for taking time to write about Toastmasters. In TM we have 4 types of clubs 1. Corporate 2. Community 3.Advanced 4. Specialty. I encourage people to visit different clubs and get to know TM through its website and You Tube channel. There are numerous resources available for public FOR FREE. Consider that Google sponsors 8 TM clubs and several TED speakers are Toastmasters members…we are a DIVERSE organization,. As a Toastmaster member you can visit thousands of clubs AROUND THE WORLD, and participate actively in the Leadership roles. The Core Vales of TM are Integrity, Respect, Service and Excellence in that order,so If you are a person that agree with those values, visit a club..many clubs, and you love TM! Am now retired but was a member of of a local TM for 5 years. i aspired to become a department trainer for a county court and was encouraged to join TM to acquire stand up speaking skills and thereby enhance my qualifications for the position. I did get the position and the skills I learned through TM aided me enormously. I became a better than average speaker and trainer. One thing I didn't anticipate learning was the ability to plan how much material I could adequately present to my training audiences within a variety of timeframes. For me,TM's club practice of timing all speeches honed this skill to a very high degree.